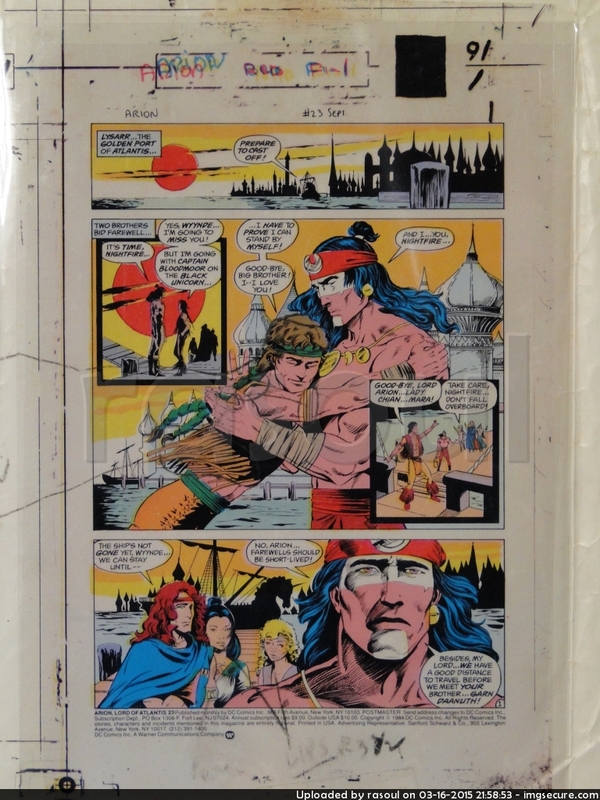 This page will show my collection of comic proofs and other related art. 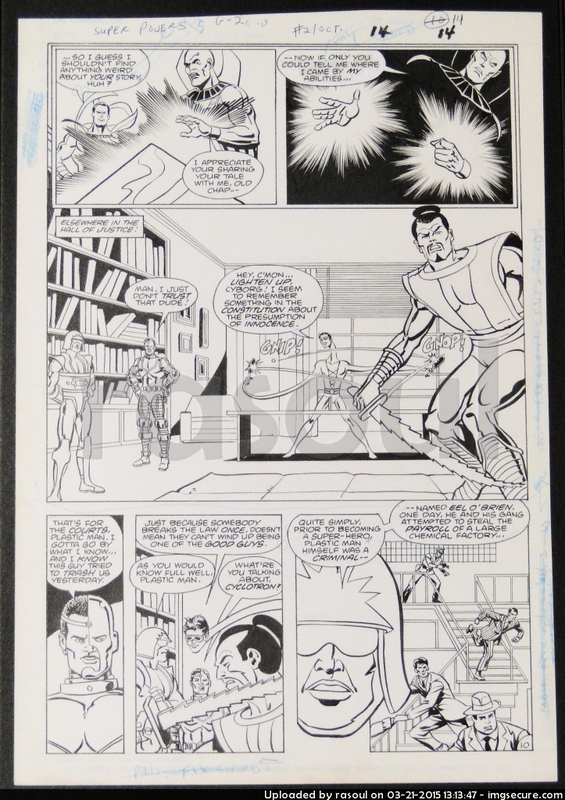 My favorite comic art piece comes from the 3rd mini-series of the Super Powers line, original inks for issue #2, page #5. 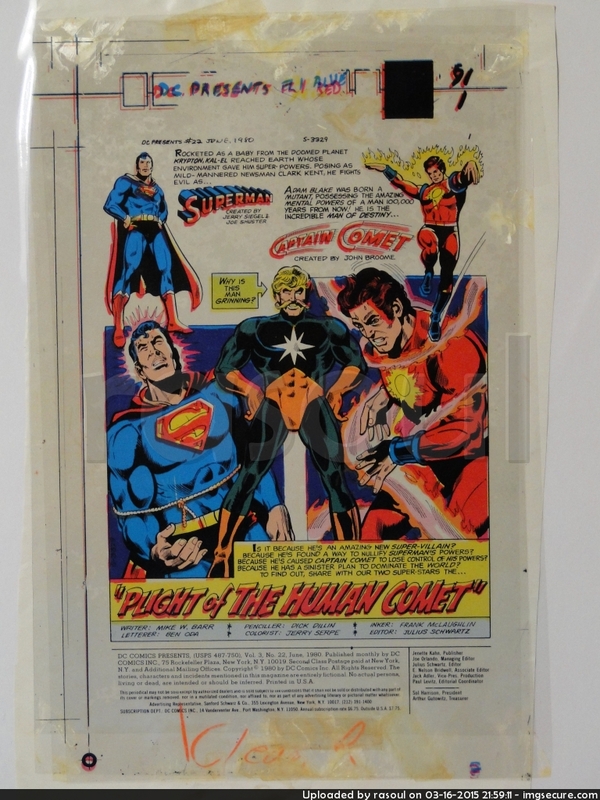 Has many of the 3rd series big players, including Shazam, Golden Pharoah, Cyborg, Samurai, Cyclotron, and Plastic Man! 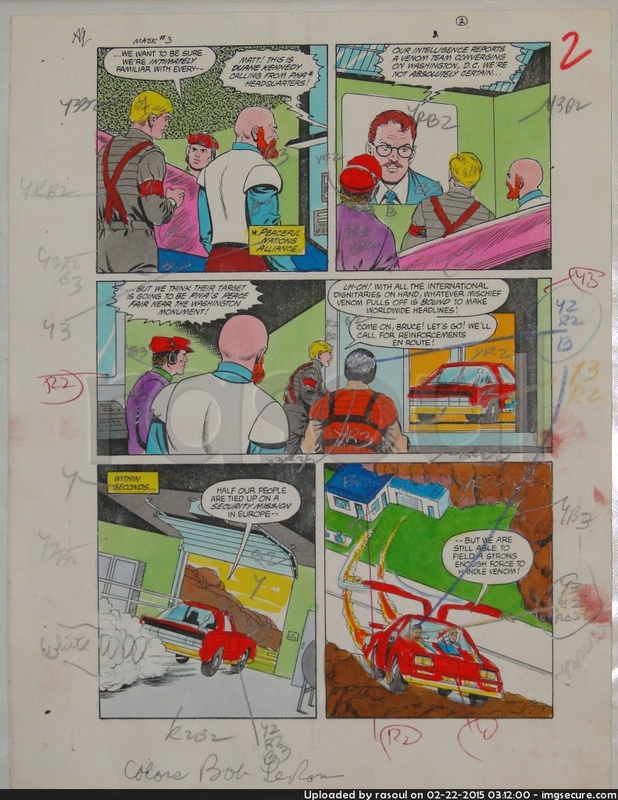 Color guides are hand colored artwork done by the colorist on top of a copy of the original artwork after it is inked. 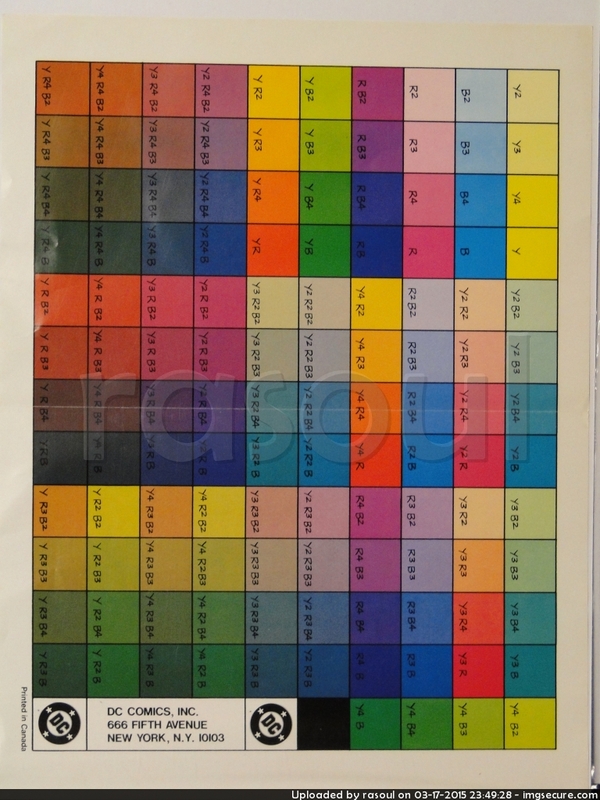 After they are colored, they put the codes in the appropriate fields indicating to the computers generating the printing/engraving proofs what color each area should end up. 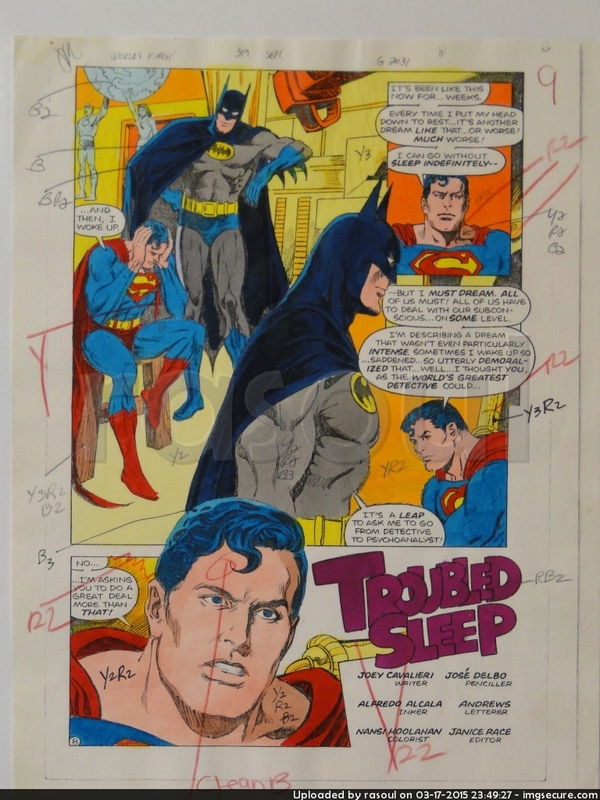 Sometimes if the images were too elaborate to take notes on the pages themselves, the colors would be indicated separately or notes were taken in the margins. 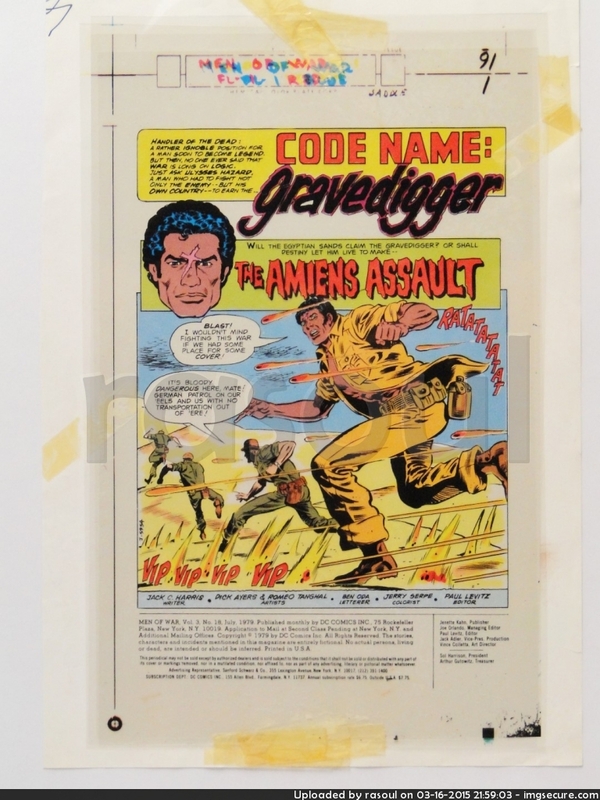 As shown on my M.A.S.K. 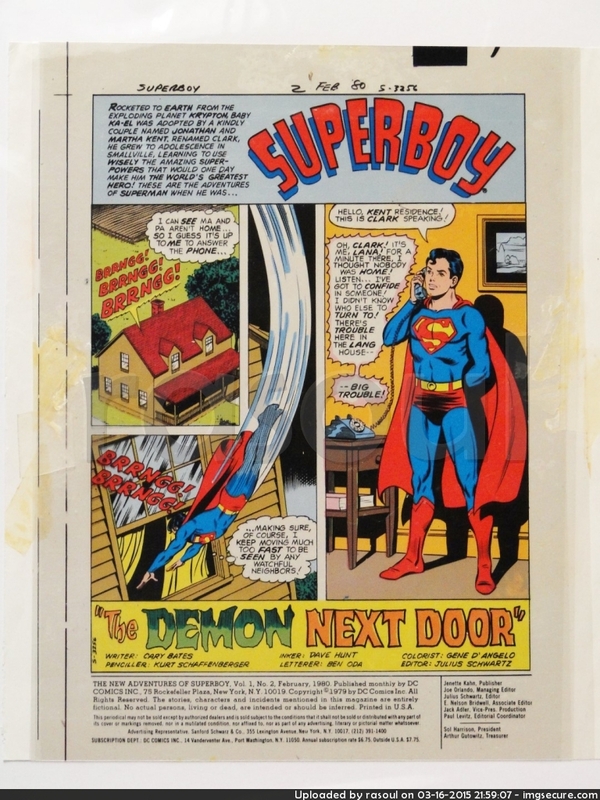 color guide page, the first image shown is a color code guide used by DC comics in the 80’s, formerly owned by a DC colorist. 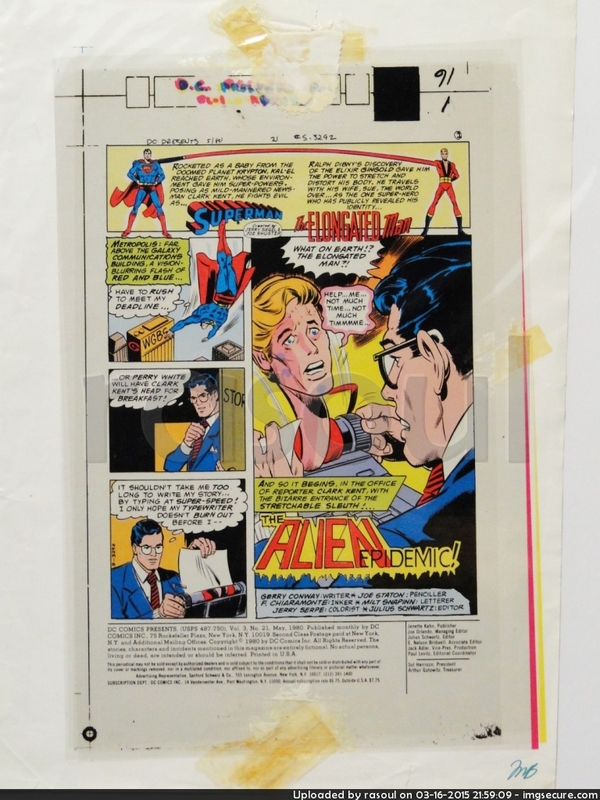 It outlines the different colors used in comic art with the computer codes for reference. 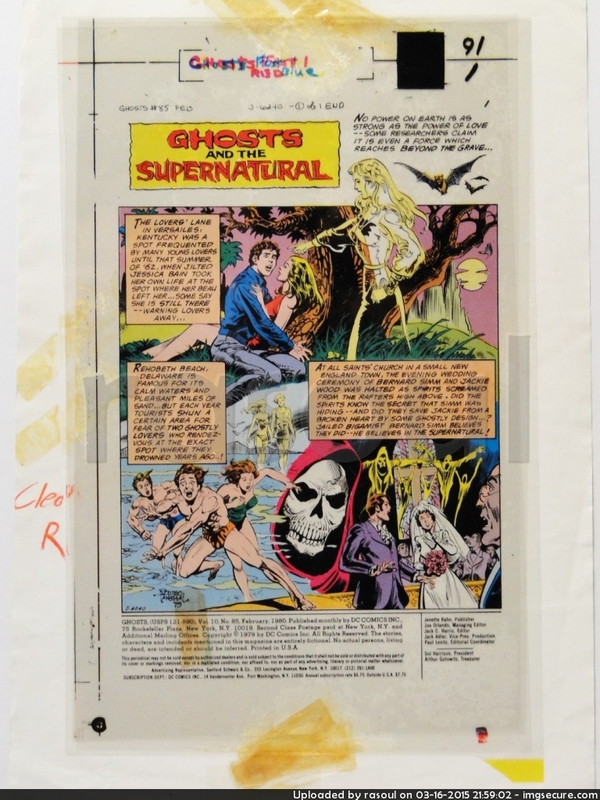 Engravers proofs are the 4-page transparent pages used to make the engravers plates. 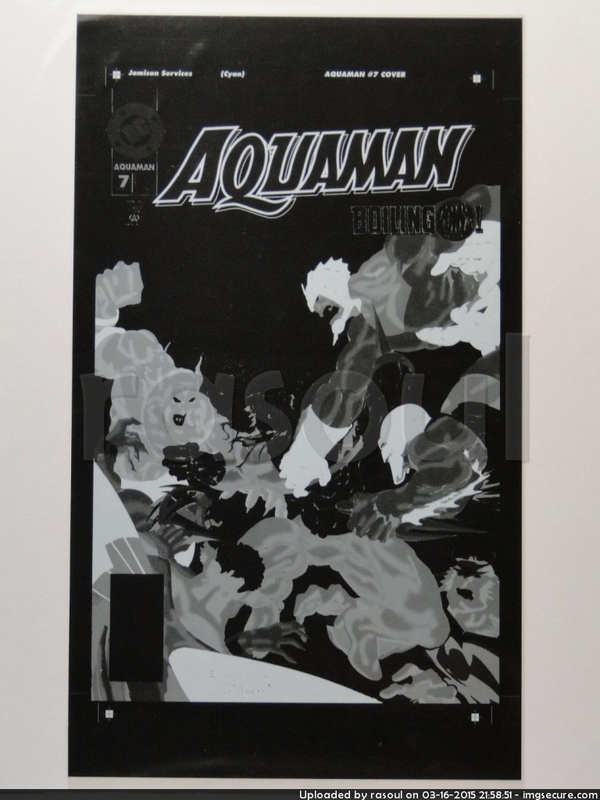 They are 4 different pages with a single color on each page that stack together to make the correct image. 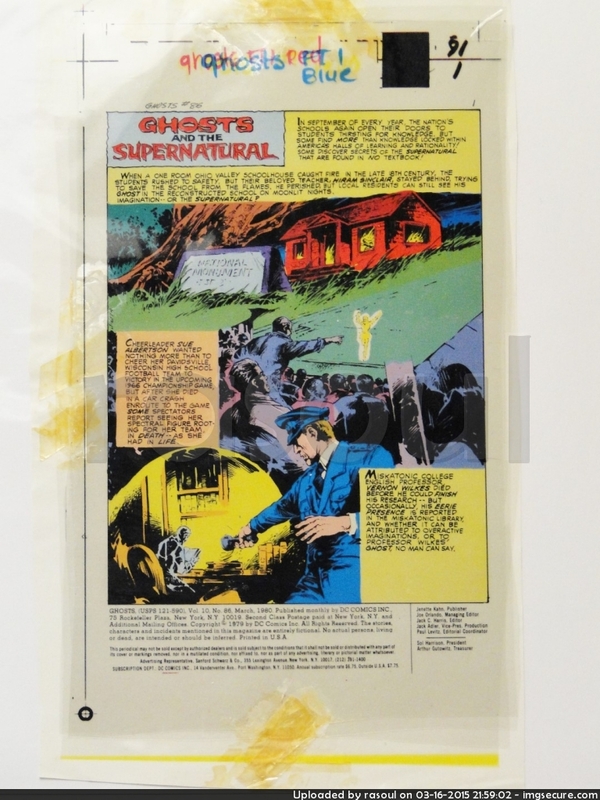 One of the proofs I have include the original negatives used to create each colored plate. 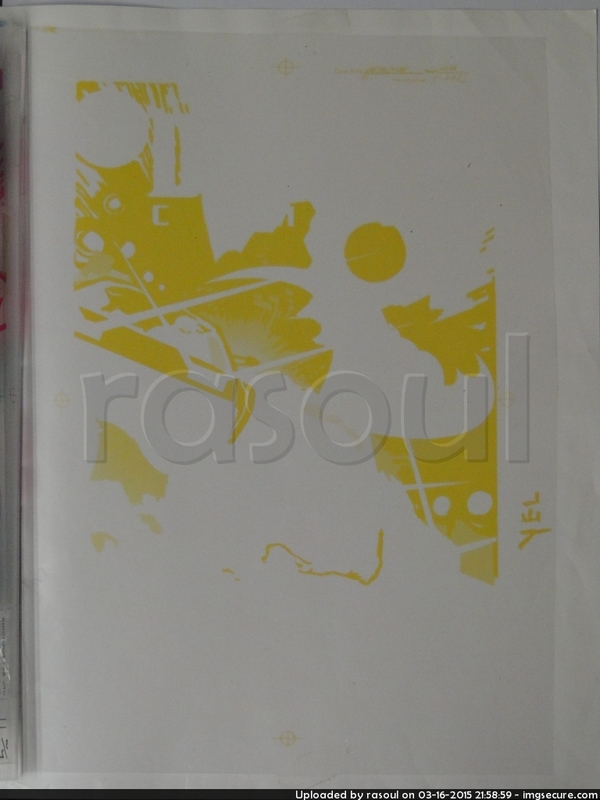 The reason there are 2 “black” pages is the differing UPC symbols. 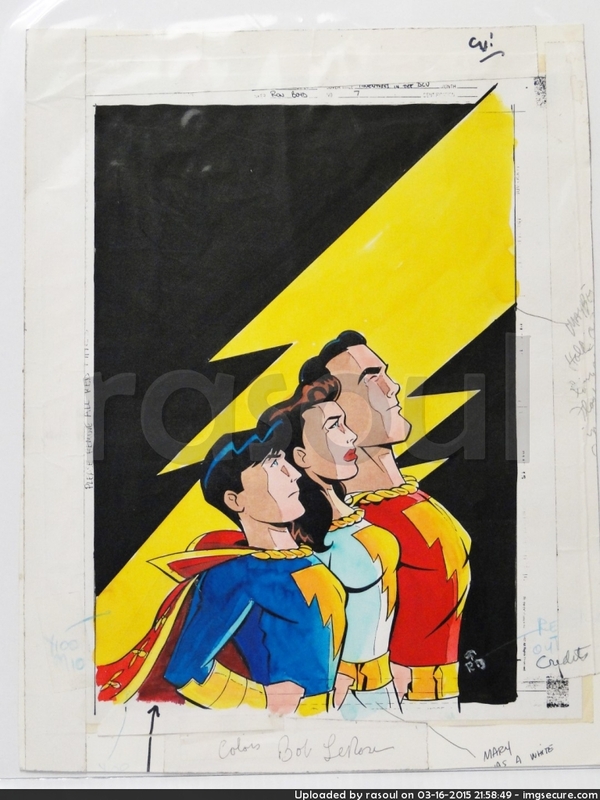 This is one of my favorite pieces. 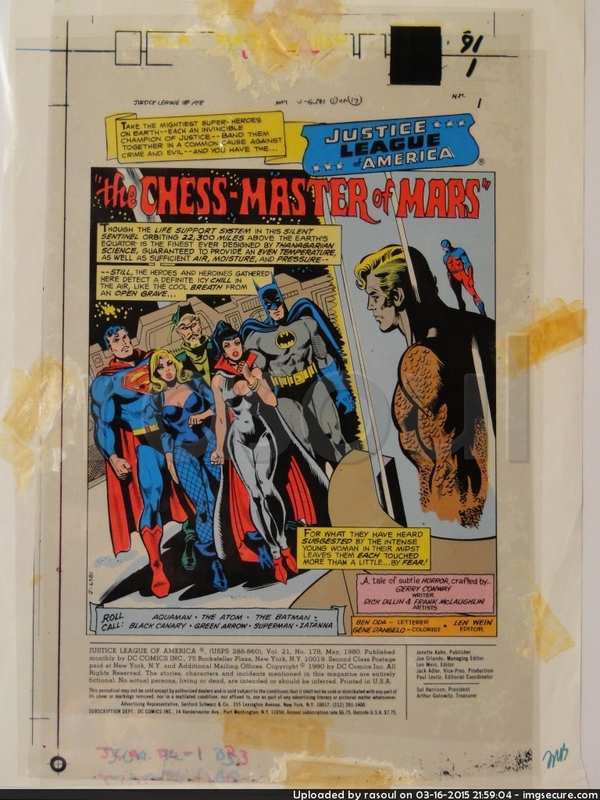 Before modern computers, they used black and white proof pages instead of transparent pages, but the concept was the same. 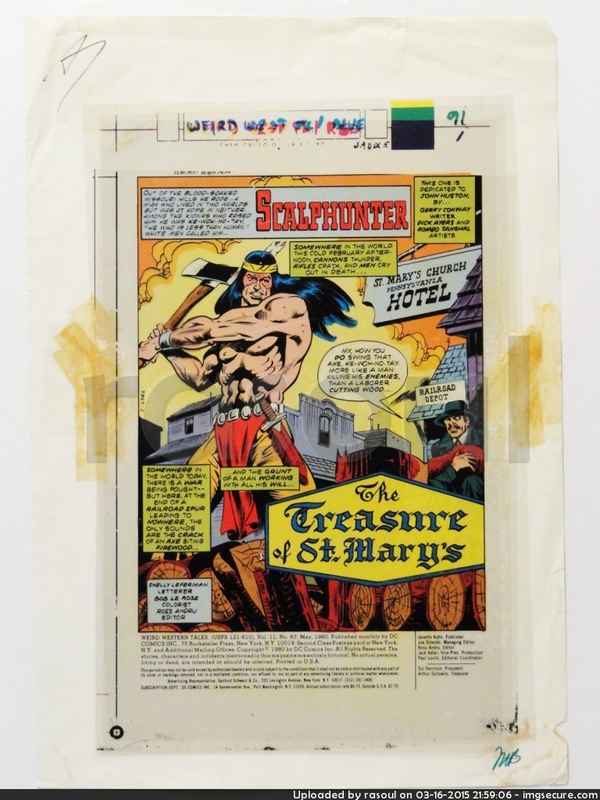 Each page represented a different color, and when struck with the printer on that color, the layers of ink would generate the correct image. 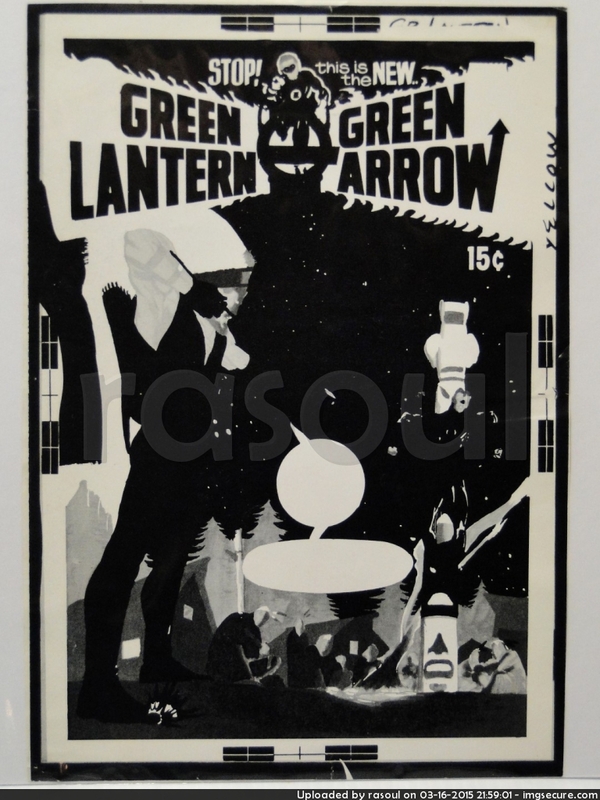 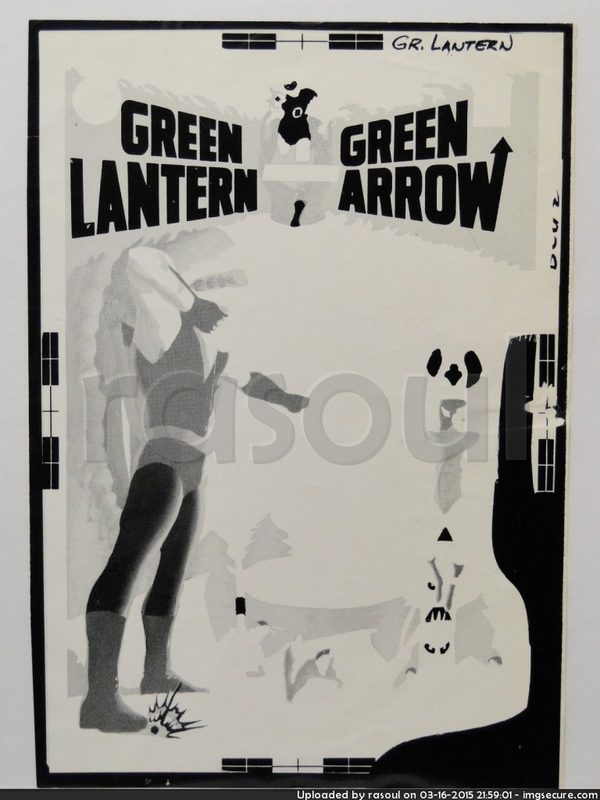 This Green Arrow art is also one of my favorite pieces. 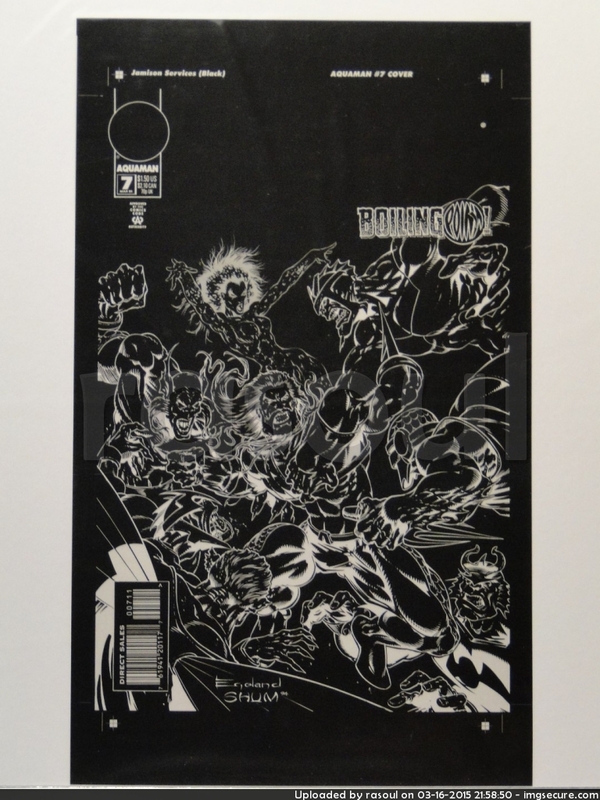 Here are the rest of my 4-page engraver proof transparencies, these are all covers or first pages. 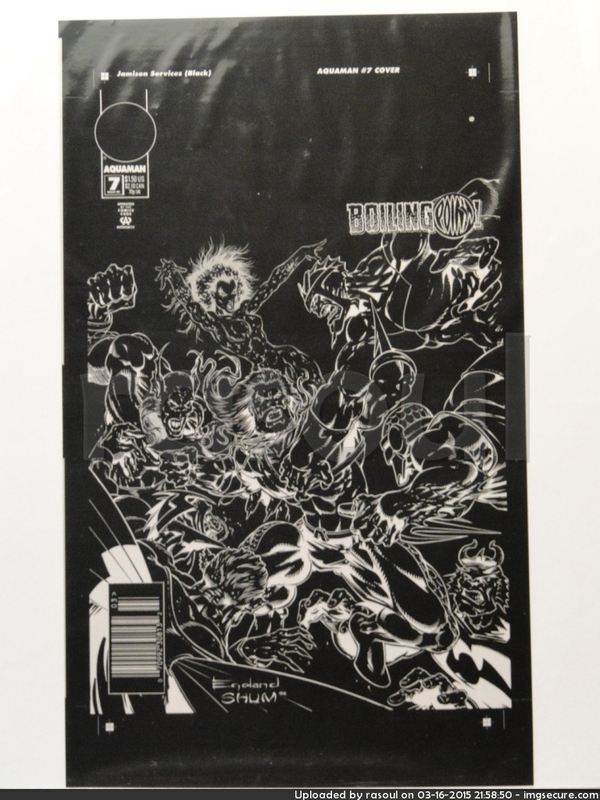 Printer proofs are the first look at the final product used for review before approving the final printing of the comic. 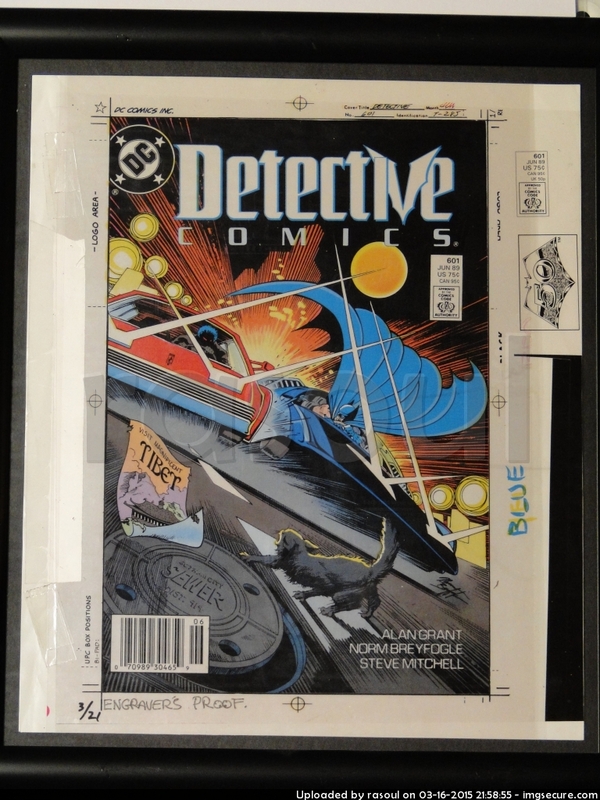 You can typically tell it’s a proof because it has the printers color stripes on at least one side of the artwork and it’s not cut to fit the size of the final product. 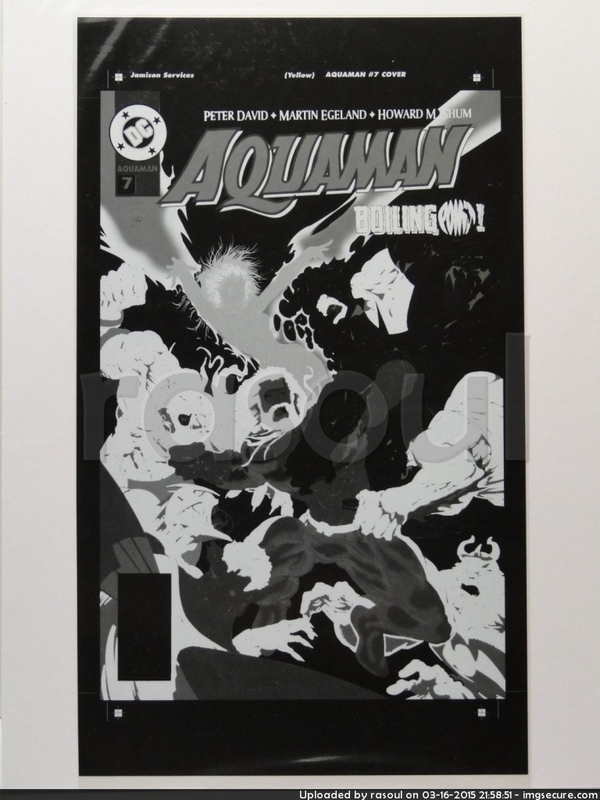 If it is cut (for whatever reason) you can tell it’s a proof because the paper it’s printed on is not the typical comic cover paper, it’s slightly thicker, and will not have the staple holes of a production comic book. 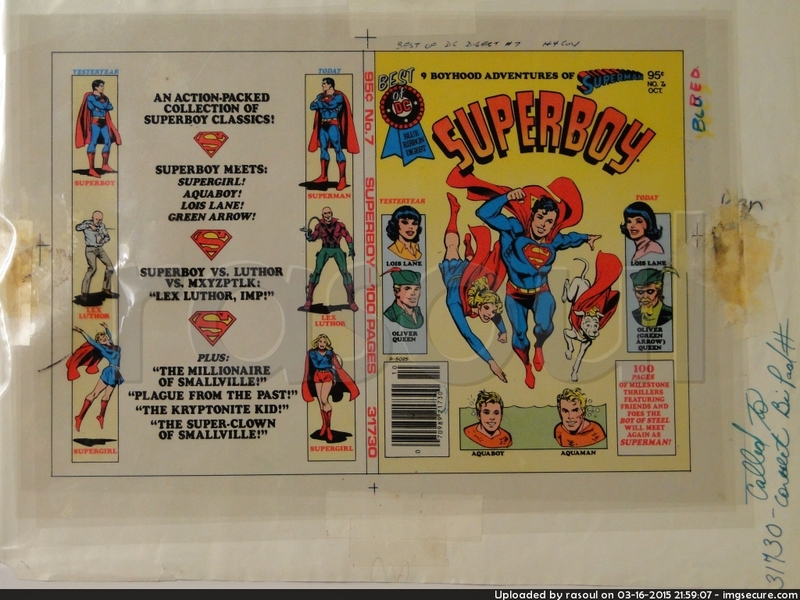 These cover proofs are front and back covers together, even though only the fronts have photos on a few. 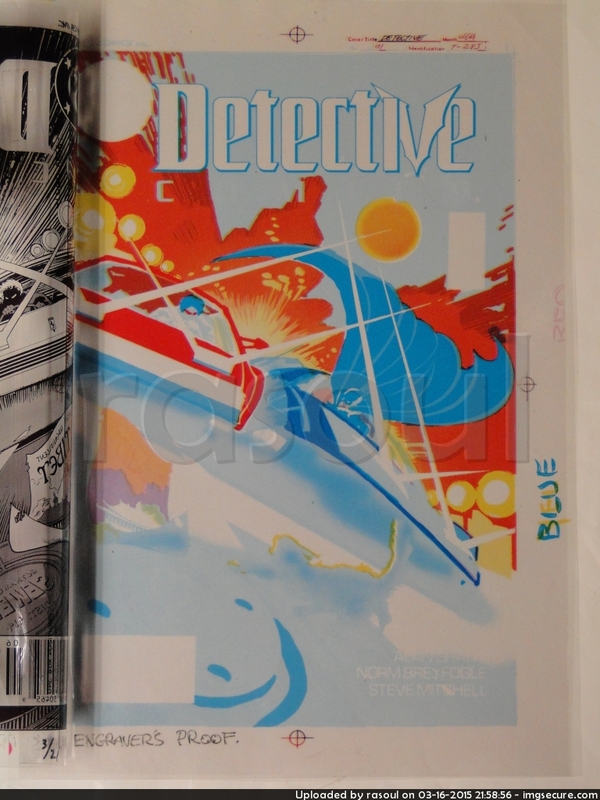 the size of all the different proofs are never the size of the comic right? 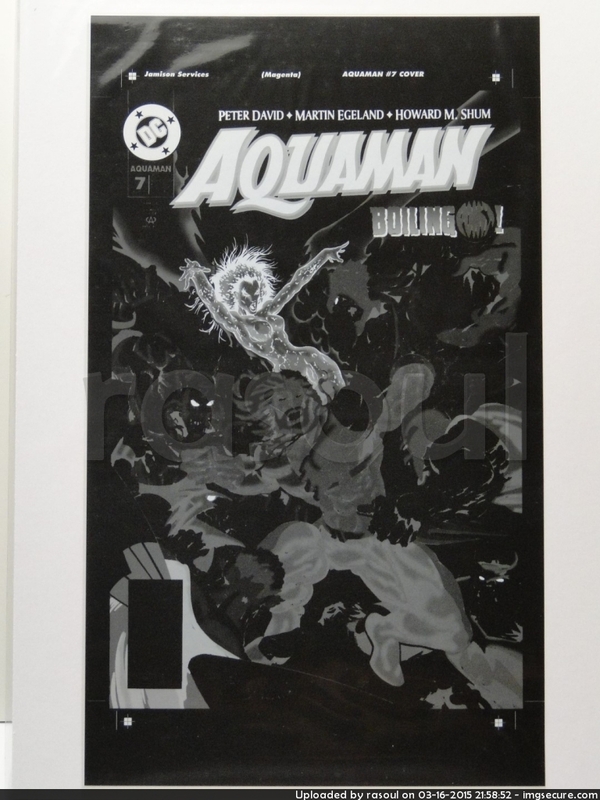 except for the color proofs that are sent to the engravers right? 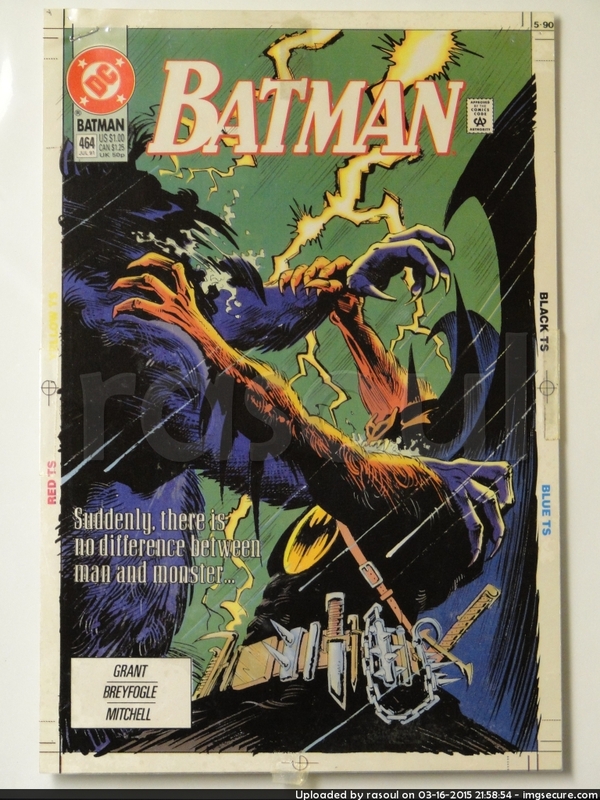 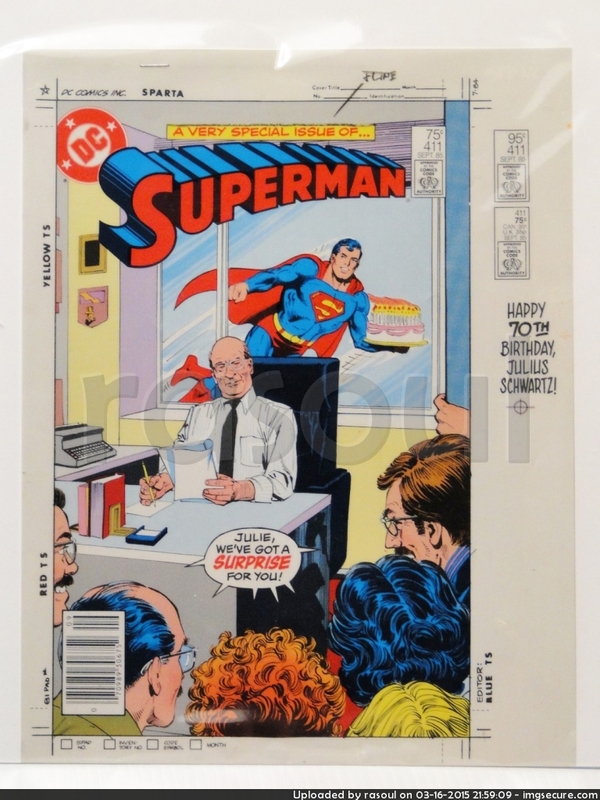 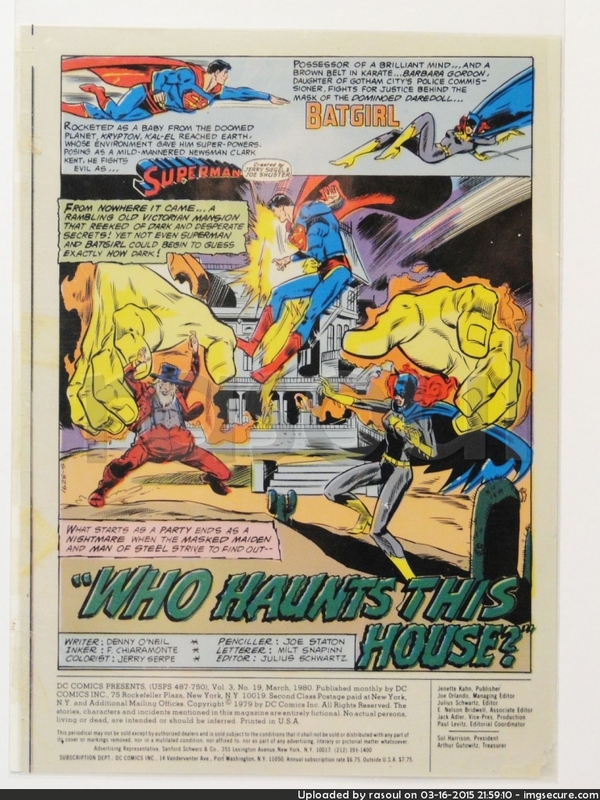 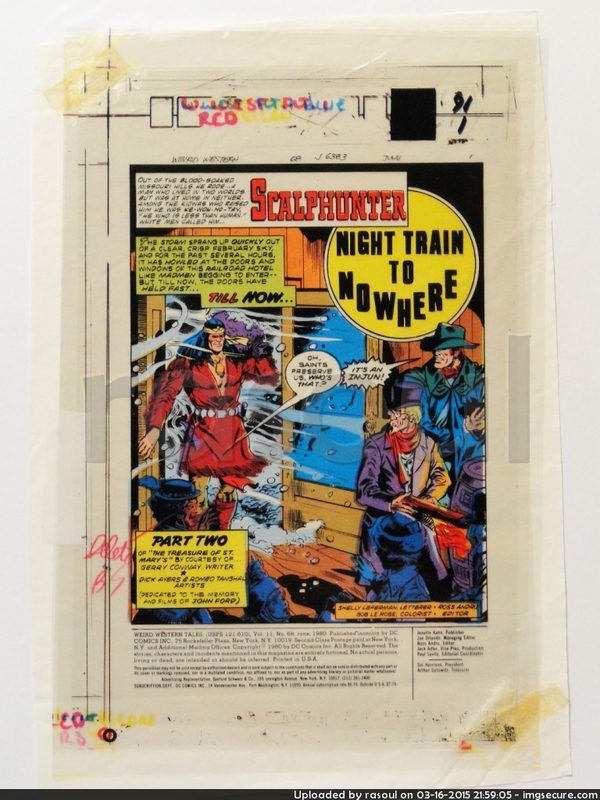 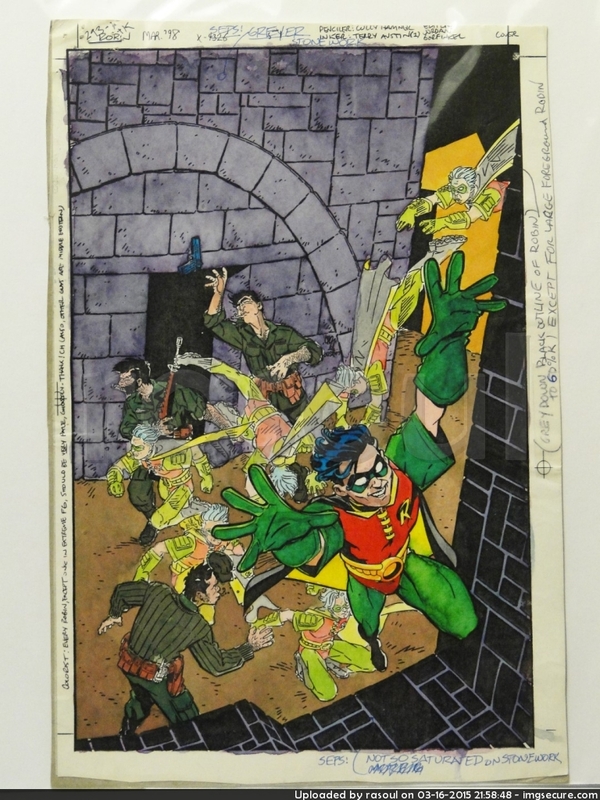 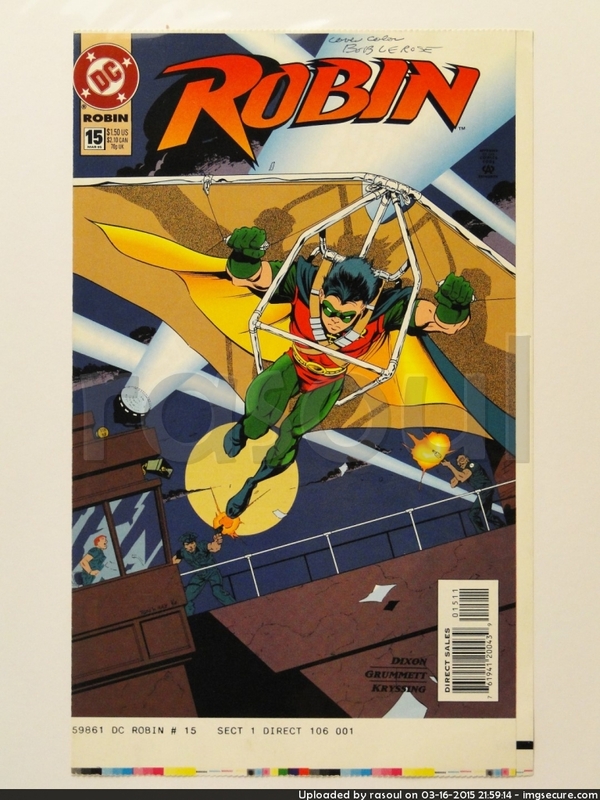 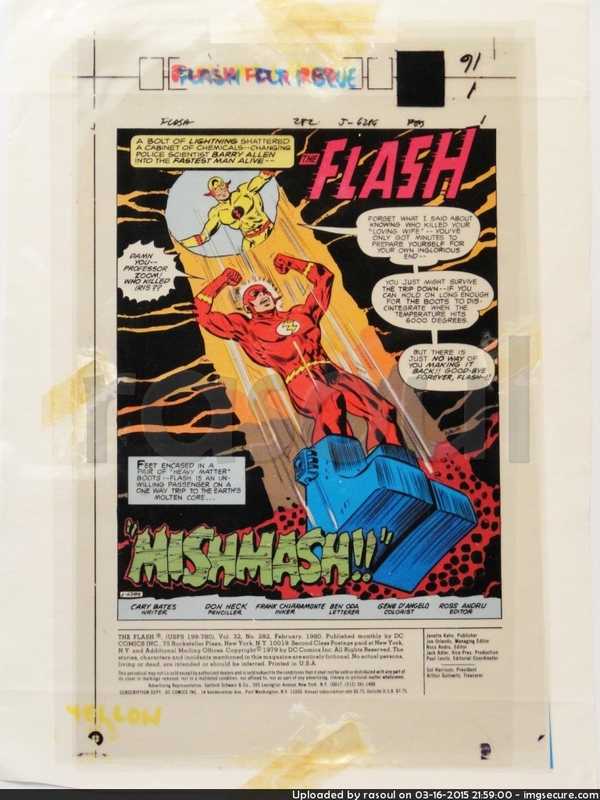 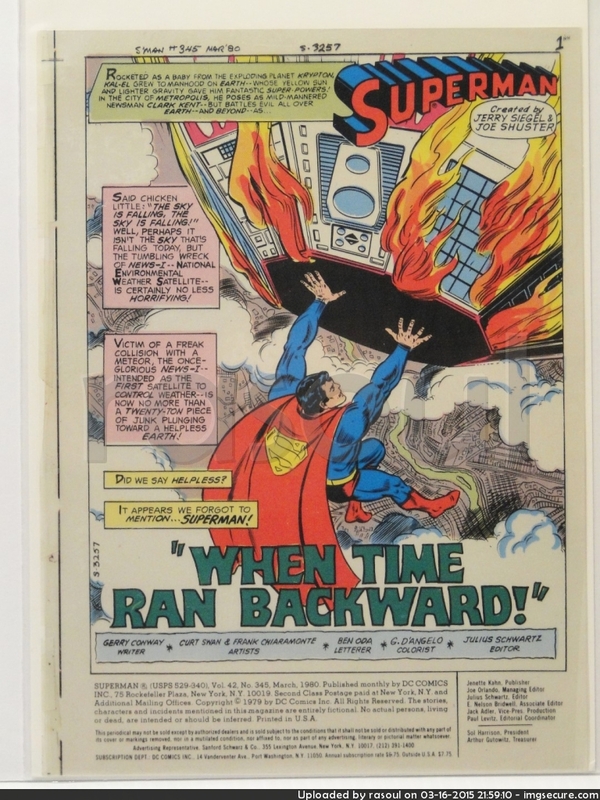 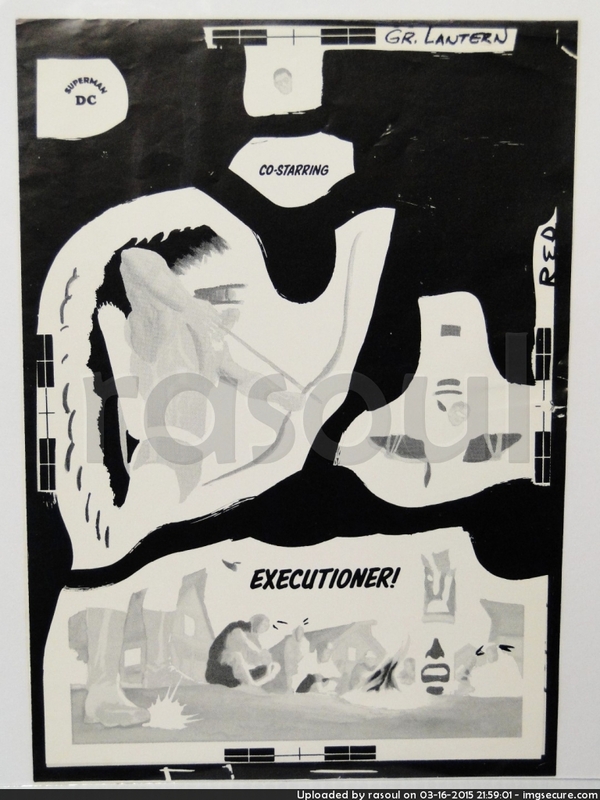 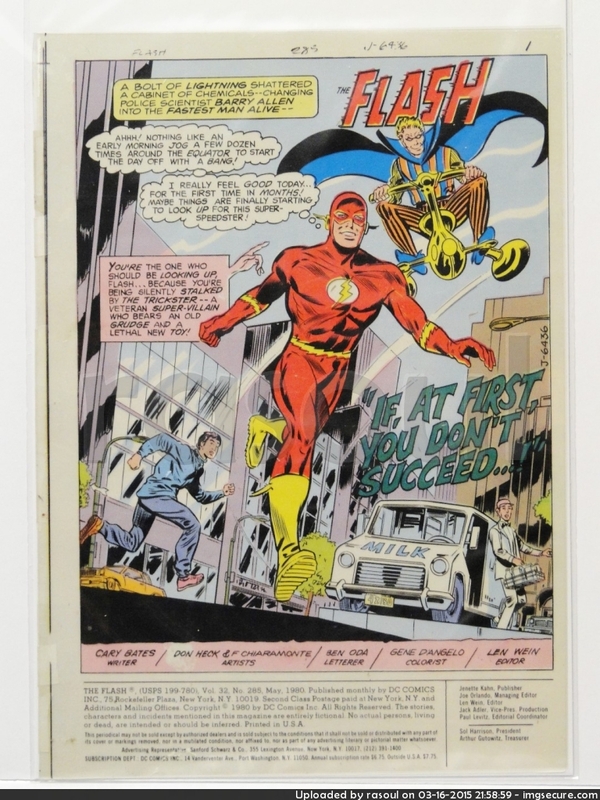 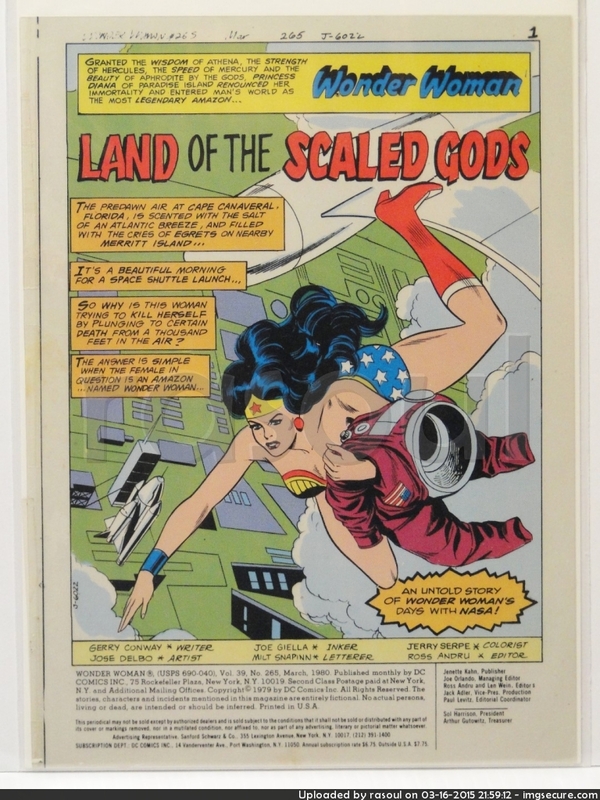 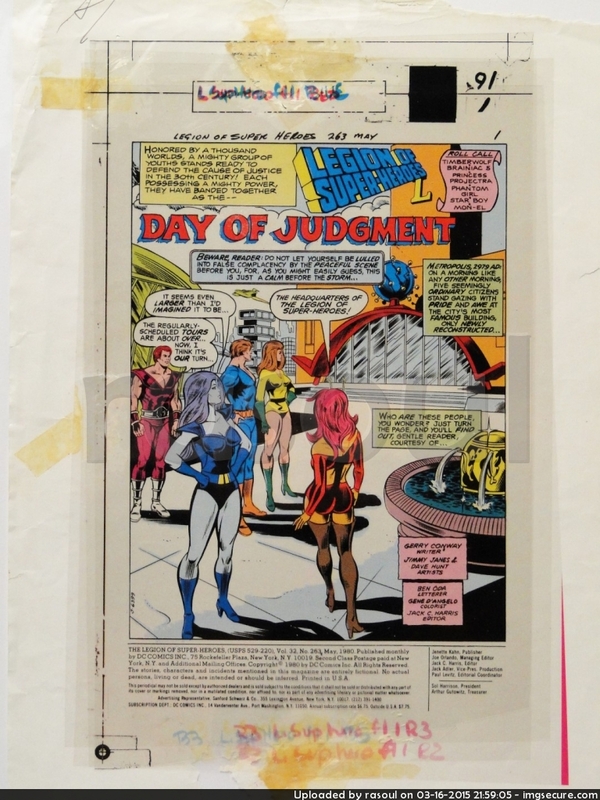 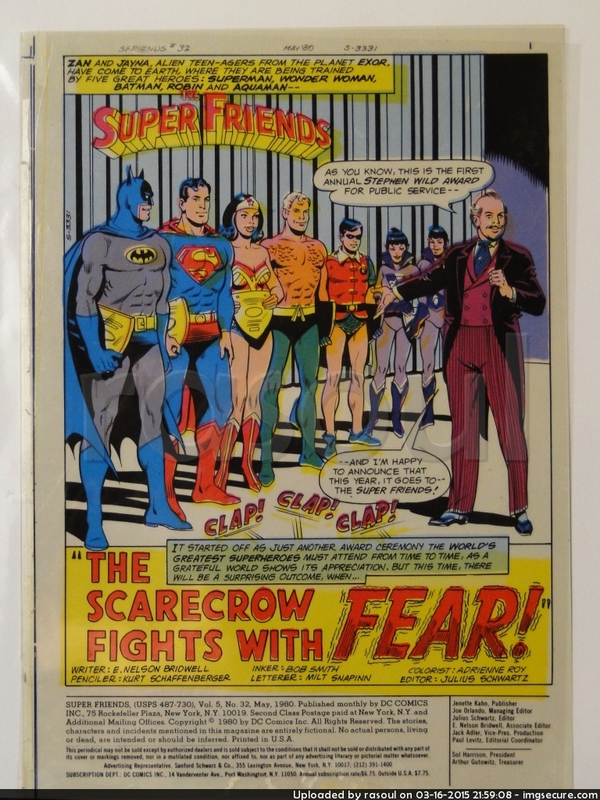 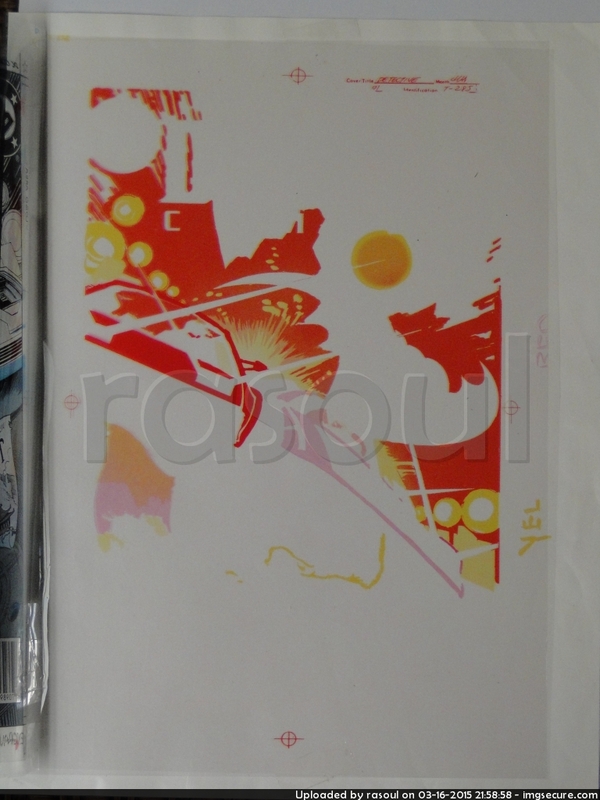 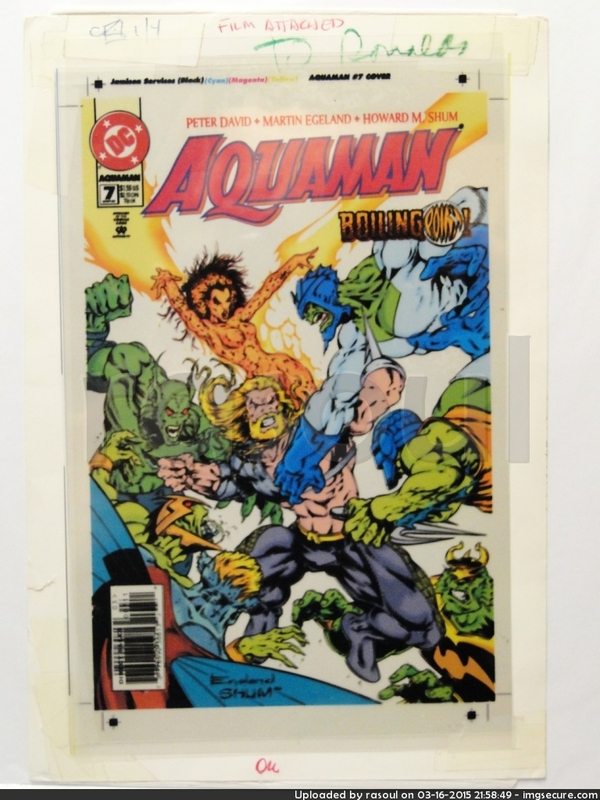 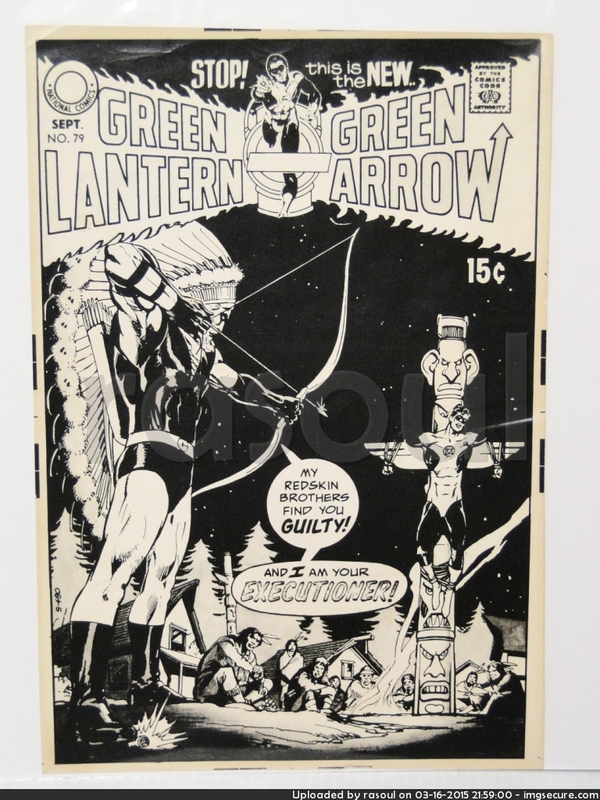 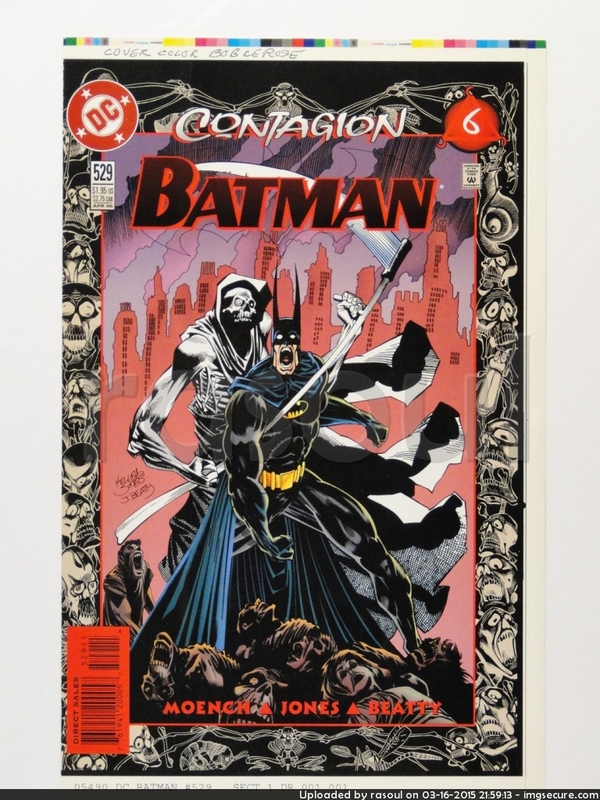 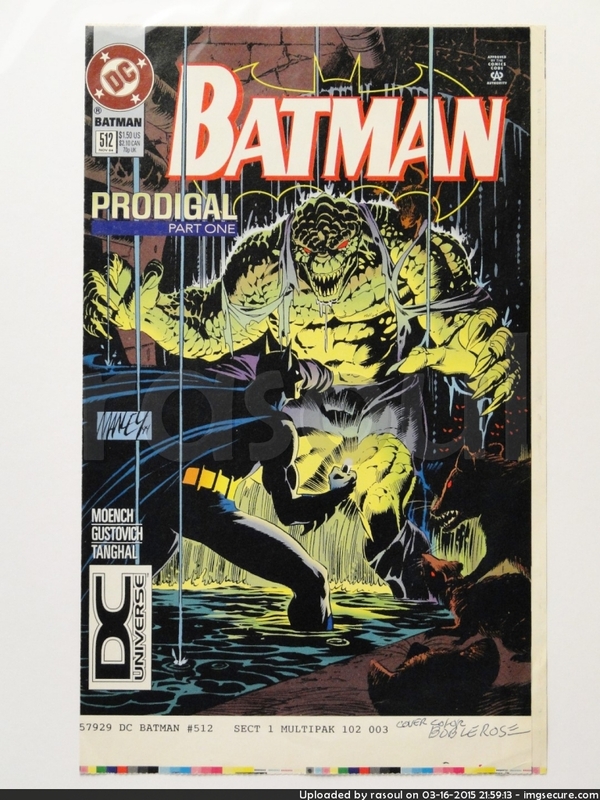 cause a guy is selling on ebay some prints and i see that they are just about a little bigger than a regular comic with a couple of transparencies per page one for lettering one for the black lines on the older ones. 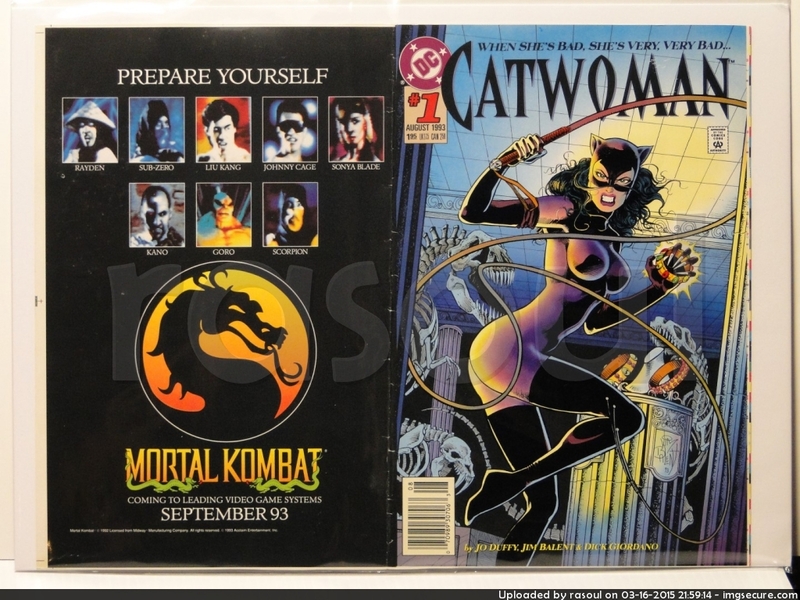 here is a link so you can see what i mean.